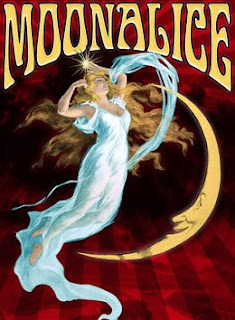 Moonalice, a band from the Bay Area in the USA, will be the first band to have their concert on Twitter. The release show of their new CD will be made available directly on Twitter. Songs will be digitized right after they have been played and put on their website. A tweet will have a download link to the song. It's the first time a band makes a concert available this way. Their web crew is gonna have a busy night. They will play the show this Friday night April 3.